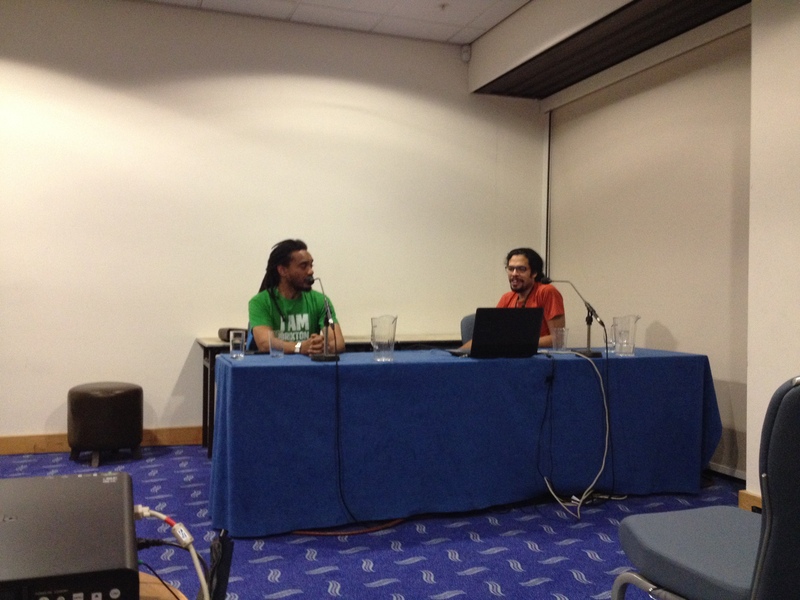 Rashid Nix and Samir Jeraj at the ‘Why don’t Black People vote?’ screening, #GPconf. Photo by Violeta Vajda. Q: In the film, made in 2008, people are not interested in voting, but Black people are not lazy, we are not apathetic, there must be another explanation. R: Before I found the Green Party I didn’t think there were any options, then found Green Party and decided to find out what they are about. When I realised nobody from my community was going to stand, I decided I was going to. We are not lazy, but there was no option, we had nobody to vote for. 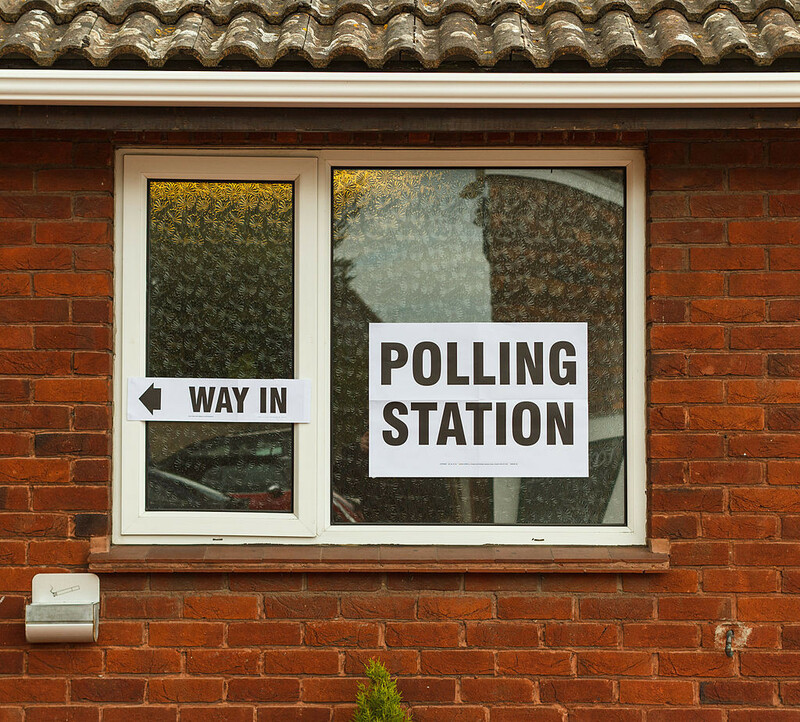 Tessa Jowell wanted my vote, but it didn’t convince me. Q: How come Black people get on the register then don’t vote? R: Voter registration has changed now, but in the past people’s excuses were – I don’t want to be caught, I don’t want to be on computer. Nobody wanted to be officially linked to an address in Brixton. But we have the most surveillance cameras in Brixton, you can’t even take a pee without being spotted. So we’re all clocked already, when we realise that we can begin participating in society. The alternative is anarchy. Q: What about the bit you didn’t film, what was it like being a candidate? R: Some of the most fun I have had legally in my life. You put yourself on the line, you realise you will be criticised, people will argue with you on the street, will scrutinise you. As I was making the film, I was also thinking of recruiting the next candidate, calling on people to stand as candidates. It struck me that we are waiting for someone to come and deliver something that we need to do for ourselves, and it just went click – that needs to be me. But we need to make the next film, about the candidates like me. Mainstream guys (Labour, Conservatives) do things by the book, very formulaic. We came second out of nowhere. But I realised that Labour candidates were really boring, they are just a machine churning out a formula. The stuff that we learned from doing the locals was about profile, this year we built on that and added our policies to the profile. Q: Why do Black people not vote? Are they the same reason as poor people, excluded people don’t vote? There are wards with incredibly low turnout with white people who feel marginalised, eg Southwark. Q: In 2012, Boris Johnson elected with just over 1 million votes. There are 1.5 black and mixed race people in London, there are even more young people (1.7 million). If I was running as Mayor I would have Stormsy as my head of communication. But the language that politicians use excludes people from the debate, and you end up thinking politics is about Oxbridge graduates that speak in a language that sounds like English but doesn’t represent us. Talking to young people we need to tell them that politics is not a spectator sport, it’s not about reading the politics pages, you are gassing if you do that, politics is when you go out and get things done. This is the paradigm shift we need to explain to young people. A lot of it is by design, certain political parties love it when people don’t vote. In Dulwich Village, where I also stood, voter turnout is 85 percent, Brixton which is next door is 25-30 percent. People on the margins are waiting for charismatic leaders to excite us, not realising that this is 24/7 lifestyle. Q: What do you think the impact of gangs is? We were gangs workers but we realised the whole rhetoric is racist, if young people are black, the police define them as gangs. R: The original ‘gangsters’ from US, gunslingers, they were Southern boys who rose to prominence after the Civil War. The North won, the South became disempowered, they found anti-heroes. Where you have high amount of gang activity, there are disempowered people. We need Political Education and Community Empowerment – PEACE. You need to make people understand that everyone works in gangs, even politicians (blues and reds). People make a lot of money out of working in the crime industry – lawyers, prison guards, crime does pay but doesn’t pay the criminals. You need to flip your game and start functioning differently, need to take your street smart into business. But the gang image is perpetrated by popular culture – the richest black man seems to be a drug dealer. Pop culture perpetrate a stereotype. Our role is to demystify this romanticism of the hard life, selling drugs, going to jail, then record contract, now being really rich. But the reality is you go straight back to jail. You either change your game and realise you’re being played, or you do end up being played. We need to read the same stuff they read in Eton. Q: When elected to local government, you can influence the discourse? R: We need to be in there and shift the terms of the debate. One of our biggest role is teaching how politics is right here, not something out there, we can be imaginative, we can make stuff a little bit more fun and relevant and get discussions moving. This whole gang context defines people’s lives these days, something’s happened politically, whole language has shifted and people from community have not kept up with debate, left behind. We should be defining what this means, young people should challenge that and ask ‘What, so the Bullingdon club is not a gang?’ but because they’re upper class guys it’s not a gang. Q: How do you do that? What are the tactics? R: Dr King said ‘I’m tired of marching’ but then he said ‘There aren’t enough cells to hold us all in Birmingham, Alabama’. We need to get politically educated and understand what Dr King stood for. We need to be really sharp about how young people take political power to get a tangible result. People can do politics but combine it with street knowledge, take your street smart and go into the world of politics, ‘you can take it to the street but you gotta be able to also do it in the suite’. We didn’t vote for our councilors when we had a chance, now it’s a bit late to oppose the agenda of gentrification. 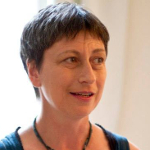 Q: As a white Oxbridge graduate, do you have any tips on how I present myself to break down the stereotype about me? R: Don’t feel stigmatised by being white and middle class, you’ve got the complexion and the connection, you go and change the world man. If I were you, I would use my grey suit and my middle class connections to go into a school and do a political education course, engage authentically with the students, tell them who you are. Tell them: ‘I am an Oxbridge graduate, I saw this film, I’m baffled, let’s have a discussion’. People in my community play up to the stereotype, instead of having an authentic conversation. Authenticity, integrity are the key words, if you have integrity people will spot it. There’s fantastic scope for you to utilise your Oxbridge credentials to the fullest. Q: Why are no Black Women standing for the Green Party? A: We do now have a couple of Black female candidates standing in by-elections, but the Green Party could do a lot better in terms of supporting our candidates. I did it all off my back, ‘these Greens are out here at the freak hour’, like 4 o’clock in the morning, campaigning, that gives you authenticity. We can’t run your typical Green campaign anymore, as we’ll just get pre-2015 results. You need to be talking the winning talk, you can’t just be all nice and timid. Buy the DVD, burn it, copying as many times as you want, start the discussion with young people. Our integrity, our authenticity, our plain speaking will win the day. The future’s Green. Don’t get caught up in the Corbyn mystique. The politicians from the countries their grandparents came from were more overtly corrupt than our own. If no candidate is willing to opt-in to a more accountable form of governance, close the revolving door, expose trust fund vested intrests, even prioritise the proposing and supporting bills that are popular with the public such as equal size statefunded electoral A5 flyers to go out WITH polling cards with a list if the bills the candidate is required to support ..there is no one worth making the effort to make the journey for.